With the rising use of Internet and services such as Facebook, WhatsApp, Twitter, and so on, information has turned out to be more valuable. This can be understood from the instances such as last year’s Cambridge Analytica scandal, which involved Facebook sharing personal data of millions of users. And hence, different people all over the world look for a perfect website scraping tool, which can be used for their benefit. 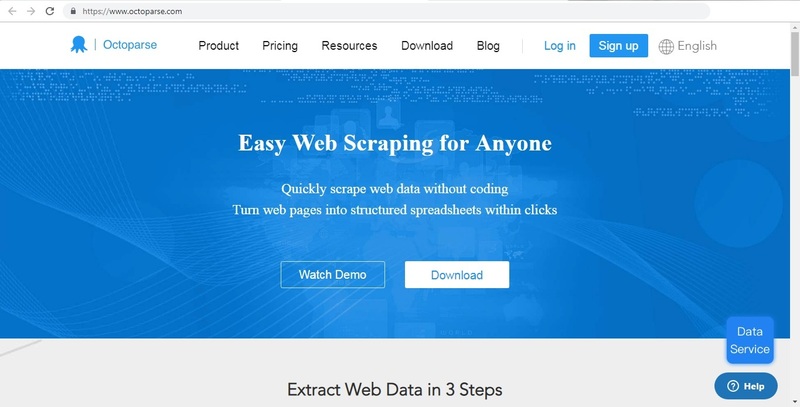 But before we begin, let us get familiar with web scraping. If you are new to the term, web scraping is basically a method that is used to gather information from the web. And most often, it is confused with web crawling. This process of collecting data is carried out with the help of tools and software that collect different bits of data by studying user browsing behavior. Now, the real question is: is web scrapping legal since this process deals with user privacy? Well, we have a bit of confusion here. Every bit of data that does not fall in “personal information” category can be collected via web scrapping and hence, with a bit of hesitation, it is claimed to be lawful. The majority of people that opt for web scrapping belong to financing, marketing, and similar sectors. This is due to the fact that these industries require analyzing data from various web pages. Web scrapers (tools used to collect data) play a major role in web scrapping. This is as sensible as breathing to be alive. Consider a scenario where you need to collect a specific data from a specific site. If you need opt to collect the data manually, it may consume a huge amount of time of copy-paste this data. In addition to this, chances are high for you to collect or misplace the data (due to human nature and tendency towards making errors), making it almost inaccurate. Hence, web scrapers come in the picture and do this job for you. And when we speak of web scrapers, there is no other better option than Octoparse. Since WhatsApp is the trendiest service that is used by most of the population all over the world, people seek to collect data from this platform. WhatsApp has made its web version available long before and hence it is compatible for web scrapping. Before you ask us how to use this tool on web WhatsApp, we take the honor to let you know exactly the same. All you need to do is follow the given below steps and you are almost done with web scrapping. Step 1: Download the tool on your PC and launch it. Step 2: Once you have downloaded the tool, you need to focus on the other part of the process—WhatsApp. Step 3: Launch your browser and open WhatsApp web by typing the “https://web.whatsapp.com/” URL. Next, open WhatsApp on your phone and go to Settings >> WhatsApp Web. Step 4: Point your handset to the screen and let the camera scan the code. Within a few seconds, your WhatsApp data will appear on the screen. Step 5: Now, on the main interface of the tool, below the “Advanced Mode,” click on Task and save the “https://web.whatsapp.com/” URL. Step 6: Once this is over, all you need to do is click on the data that you need to extract. Step 7: After you are done with selecting the important data, all you need to do is run the extraction. Within no time, all the data you need to gather will be in front of you. It is not only WhatsApp’s but a number of services such as Facebook, Twitter, and Instagram’s (among others) data can be scrapped using Octoparse. This tool is very easy to use. Even though the free version will give you some essential and basic features, the paid version is much more superior and no other tool stand a chance to compete against it. The cloud service (included in the paid version) will allow you to extract the data within no time in the cloud. This makes things quite simple for you. Having said this, it is clear that Octoparse is a feature-rich web scrapper. The tool offers good user interface, which makes it easy to use and wanted among users. In addition to this, any user can master the tool within no time since it does not need any technical background. And if you are looking to scrap a huge amount of data this is the best option that anyone can probably have. If you do have any doubts regarding the tool, using the free version will cost you nothing and will help you clear all your doubts. Rest, we leave it to your requirement and fine judgment to make the end decision.